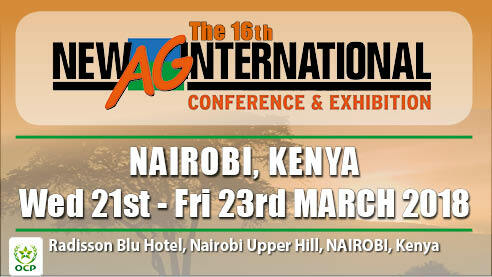 New Ag International will host in Kenya, their 16th annual international conferences covering the world of High Tech Agriculture in depth. ​The conference will feature speakers from academic, government and industry circles, whose aim will be to promote products and technologies that fit African conditions. New Ag offers an exclusive discount to SME’s through IFDC/AfricaFertilizer.org. Click on this special registration form to get up to 35% off.